With Navratri coming up and Diwali just around the corner, India is now entering into the festive season of 2017. For sure you be keeping your best attire ready for all those days. Infact, with nine days of navratri and five days of Diwali, you should have at least a dozen of ethnic wear ready and on the go. For sure you must be confused by now. But do not worry, Infibeam comes for your rescue. 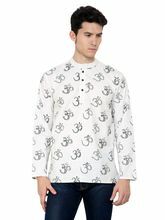 Get the best of the kurta for men online at Infibeam for those festive days and look your best. You would surely want to complement your partner’s sequined lehenga choli or that beautiful salwar kameez she bought. What are you waiting for, scroll down to know more. 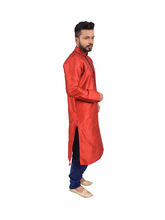 Best designer kurtas for men are available on Infibeam. You are definitely going to drool over the collection we have. Ranging from Kurtas, Kurta Pajamas to Kurta Dhotis, you name it we got it. You just have to click on the one you like to get it. We have kurtas in numerous colours, patterns, textures and materials. 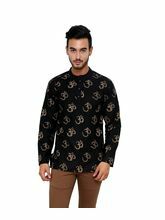 You are going to step into the heaven for ethnic wears for men. Beautiful sherwanis are also available on Infibeam if you want to wear something that leaves a mark. Infibeam offers all this and more. Buying a kurta online has its own benefits. You will get the best deals on everything including the special Diwali offers. Just hop on to Infibeam and add to cart the kurtas of your choice to look elegant and handsome and make a statement this festive season. You can pay through online net banking, debit cards, credit cards and even wallets. As if shopping online was already not a cake walk.